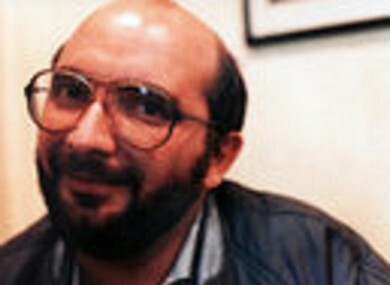 Charles Self, a well-known figure in the gay community, was murdered in his flat in 1982. Nobody was ever charged with his killing. GARDAÍ COULD BE on the verge of solving a murder mystery which has seen a killer at large for almost 30 years. RTÉ designer Charles Self, who was a well known figure in the Dublin gay community in the eighties, was stabbed to death at his home in South Dublin in 1982, but nobody has ever been charged with his killing. The Irish Daily Mirror (print edition) reports that advancements in forensics may mean that a fingerprint found close to the scene could lead to the person behind the murder, if he or she is still alive. Gardaí are pouring over hundreds of statements and say they believe that people who may have been hesitant to come forward at the time of the killing, may feel more comfortable doing so now. A garda source has told The Irish Daily Mirror that their relationship with the gay community has dramatically changed, making it more likely that someone with information may come forward. Self, who was 33, had been socialising in a pub on Duke Street on the night he was murdered. Email “Cold case: Gardaí may be close to solving RTÉ man's murder”. Feedback on “Cold case: Gardaí may be close to solving RTÉ man's murder”.